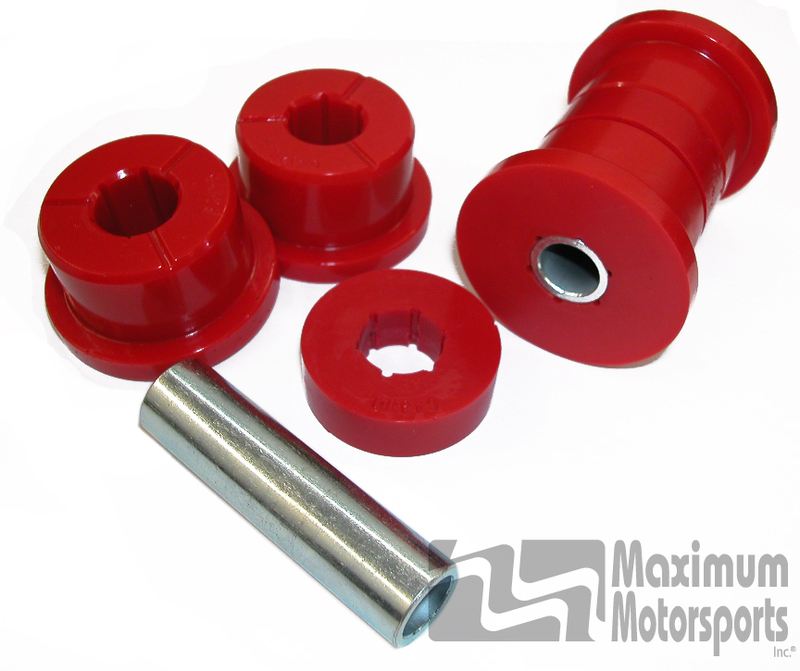 Replacement 3-piece urethane bushings for MM Rear Lower Control Arms. Fits these MM control arms for 1999-2004 Mustangs with solid rear axle. These proprietary bushings were designed specifically for MM Rear Lower Control Arms. MM's Engineering Team designed our control arms first, and then designed these bushings to fit our control arms. We did NOT design our control arms around an existing bushing design. Do not assume these bushings will fit control arms made by other companies, and do not expect us to know if they will fit.